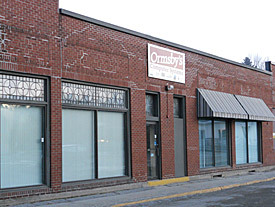 In business since 1982, Ormsby’s Computer Systems is committed to providing total computing solutions for Central Vermont and surrounding areas. Our mission is to do more for our customers than just provide products. We see ourselves as total solution providers. Every business and facility is different. Even departments within facilities have very different needs. It is for those reasons that our staff is trained to listen to our customers. We know the right questions to ask and the right suggestions to share so that we can come up with the right solution for your facility. Only when we completely understand your situation can we help find the right solutions for you now and for your future. Contact Ormsby’s today and see how we can be of service to you.